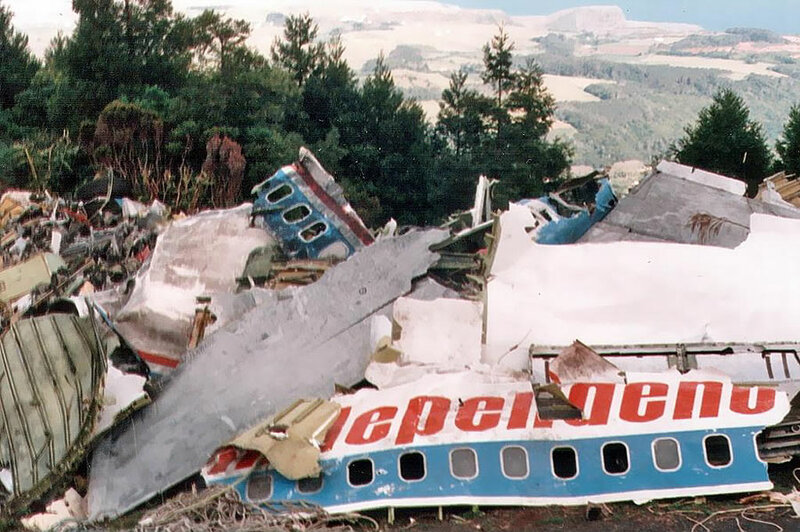 The airliner hit a mountain while attempting to land at Santa Maria. The crew mistakenly continued to descend through 3,000 ft. which it was cleared to. Because of a overlap in communications, the tower did not notice the mistake. The aircraft continued to descend and did not comment or react to warnings from the GPSW for 7 seconds. The aircraft then hit Pico Alto mountain at an altitude of 2,000 ft. Procedural errors by the flight crew and ATC. Descent of the aircraft below minimum sector altitude. Transmission from the tower of a QNH value higher than the actual value.